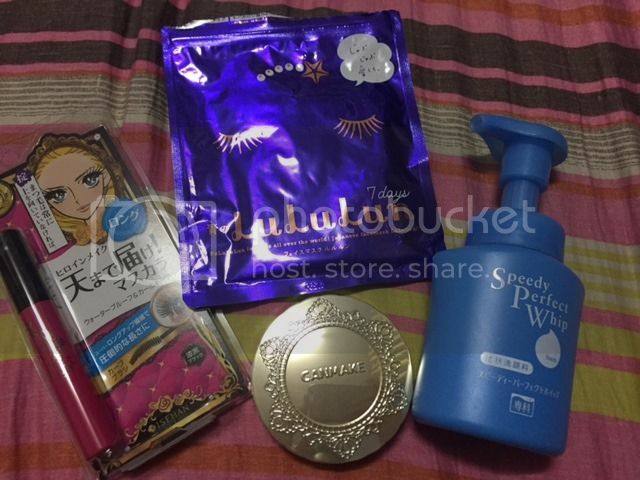 If there was anything I wanted to get in Japan, it was beauty products. They are obviously doing something right with their skin care products that why they have such nice skin. Prior to the trip, I did my research and got a bunch of stuff that other people recommended. 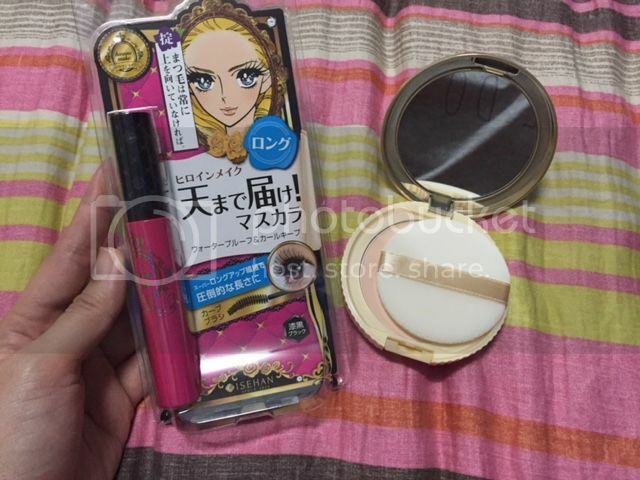 I got most of my stash at drugstores which were literally all over Japan. I didn't get a lot because I'm not very much of a "beauty product" kind of girl but lately I've been trying to change that and paying more attention to the products I use. If there's anything I researched a lot before I went to Japan, it was a good mascara. I have a fascination for beautiful lashes but I don't wear mascara because I don't like the mess it makes when you remove them. I wanted something that won't smudge but would be easy to remove with just soap and water as well. My research led me to Canmake Mascaras. Canmake boasts of their fiberwig technology which supposedly coats each lash making them look thicker and longer. It is also supposedly easy to remove because it comes off with just soap and water and falls off like small barrels. That sounds amazing, isn't it?? Next, one of the Japan's cult favorites: Lululun face masks. 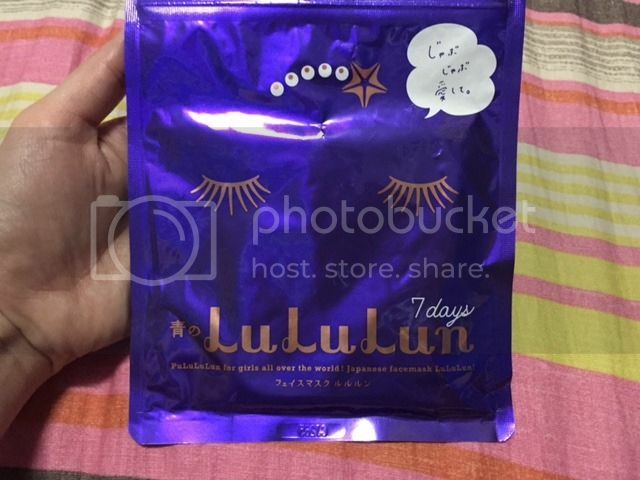 I've been getting into face masks lately and I was excited to try these masks from Lululun. It is not individually wrapped, and I got a 7-day set which meant the pack had 7 sheets inside. The sheets were stuck to each other and pulling one out is a bit messy. I'm not sure if it is effective on me (it didn't feel so different) but I think it moisturized my skin and I didn't break out which is a good thing. 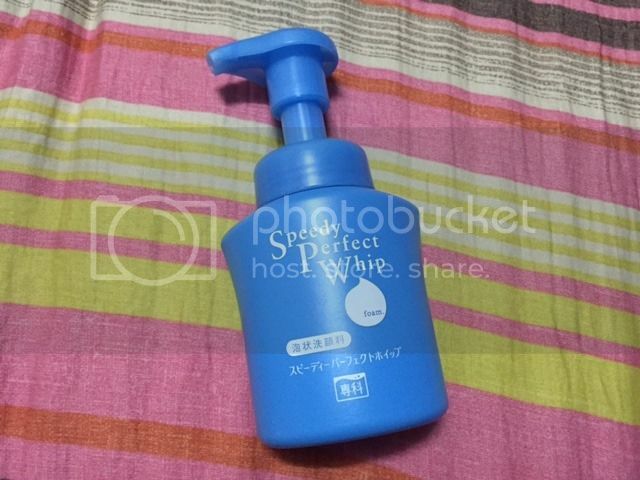 This is the Shisheido Speedy Perfect Whip facial cleanser. This baby is amazing! It comes out as a foam and it leaves your skin really soft and clean. I'm used to face scrubs so using a light foam took a bit of getting used to for me at first but I loved how soft it left my skin. The downside however is that after weeks of using it, my blackheads came back so I still use a scrub every so often to address that. But overall, for an everyday facial cleanser, this baby from Shisheido gets a two thumbs up for me! Thank you Japan for making me pretty! Buying foreign products is so enjoyable!